Running out of disk space on MySQL partition? A quick rescue. No space left on device – this can happen to anyone. Sooner or later you may face the situation where a database either has already or is only minutes away from running out of disk space. What many people do in such cases, they just start looking for semi-random things to remove – perhaps a backup, a few older log files, or pretty much anything that seems redundant. However this means acting under a lot of stress and without much thinking, so it would be great if there was a possibility to avoid that. Often there is. Or what if there isn’t anything to remove? While xfs is usually the recommended filesystem for a MySQL data partition on Linux, the extended filesystem family continues to be very popular as it is used as default in all major Linux distributions. There is a feature specific to ext3 and ext4 that can help the goal of resolving the full disk situation. As i have already discussed in my previous post zfs filesystem and MySQL about zfs overview and two most important command zpool and zfs. I am going to continue with usage of zfs snapshots. It includes create a pool, Create file system, Taking a snapshot, Renaming Snapshots, Listing all snapshots, restoring from snapshot and Moving the snapshot to other location. 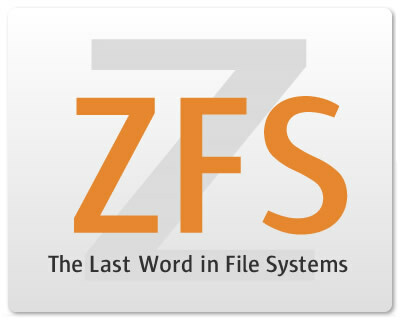 ZFS is a new kind of 128-bit file system that provides simple administration, transactional semantics, end-to-end data integrity, and immense scalability. ZFS is not an incremental improvement to existing technology; it is a fundamentally new approach to data management. ZFS was first introduced in Solaris in 2004 and it is a default filesystem in OpenSolaris, but Linux ports are underway, Apple is shipping it in OS X 10.5 Leopard with limited zfs capability ( Apple shutdown this project afterward due to some known reason), and it will be included in FreeBSD 7. On LVM: How to setup Volume Groups and Logical Volumes. The linux.conf.au organisers have given all miniconfs an additional few weeks to spruik for more proposal submissions, huzzah! So if you didn’t submit a proposal because you weren’t sure whether you’d be able to attend LCA2010, you now have until October 23 to convince your boss to send you and get your proposal in. A while back, Ted Ts’o asked for a incremental backup solution that used a database. It reminded me of the talk at the 2009 MySQL Conference & Expo, titled Build your own MySQL time machine. Chuck and Mats will talk about the backup and replication code, and will show off a web interface, that allows you to go back in time, similar to Apple’s Time Machine in Mac OS X. Its a talk that I most certainly want to attend, as an avid Time Machine user. Success with OpenSolaris + ZFS + MySQL in production! There’s remarkably little information online about using MySQL on ZFS, successfully or not, so I did what any enterprising geek would do: Built a box, threw some data on it, and tossed it into production to see if it would sink or swim.